At Hospitality Reputation.com we understand that in the Hospitality industry, maintaining a good online reputation is a bit harder to achieve than in most other industries. It’s easy to understand why. Just about everyone (myself included) can relate. When you’re finally getting to your hotel after a long day of travel, you’re exhausted, maybe even jet-lagged, and even though the hotel receptionist is only doing his or her job, any disapproval or failure to comply can seem like a downright insult. Encompassing a broad range of fields including hotels and lodging, event planning, tours and activities, cruise line and a host of other fields within the tourism industry. 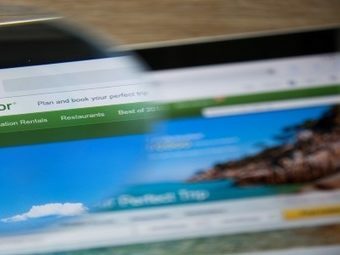 One unique facet of online reputation management (ORM) for the hospitality and travel industry that is not a concern for ORM in other industries is the importance of online bookings websites through which travelers book reservations with hotel/lodging hospitality businesses. Online booking and reservations sites are prevalent in other areas of the hospitality industry as well; they’re not solely for booking reservations with hotels. Other online booking systems in the hospitality industry include those used to reserve tables at restaurants, tickets for adventure/travel tours, etc. For obvious reasons, how a hospitality business or hotel appears on these online booking sites is of tremendous importance. Enter the need for hospitality reputation management for online booking sites. This is but one need that the ORM experts at HospitalityReputation.com crafted a unique solution to that works for 99% of the hotels and hospitality businesses we work with that are having reputation issues with online booking/reservation websites. While troubles with negative online reviews are far from exclusive to businesses in the hospitality industry, hotels, restaurants and travel-related businesses do have it rougher than businesses in most other industries. This is primarily due to the heavy weight that people place on guest reviews when booking a hotel or making travel reservations online. Without an effective process in place to fend off negative feedback and generate real positive guest reviews your hotels will get hit by a negative review, or flood of negative guest feedback, that might truly challenge the ability of your hospitality brand to generate new business online. Protect the reputation of your hotels online with a trusted full-service hotel and hospitality review management system that’s guaranteed to get rid of negative hotel reviews on sites like Yelp and improve the reputation of your hospitality business on TripAdvisor and similar traveler review sites. Online Reputation Services can Help Your Hospitality Business Thrive Online!